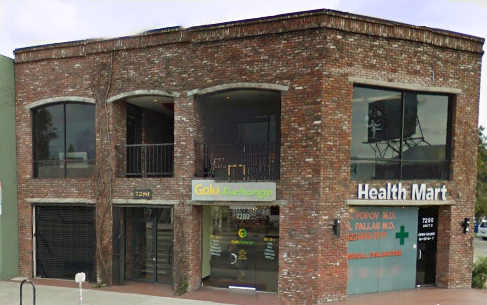 The Groundlings Theatre and School has purchased a two-story building at the southeast corner of Melrose Ave. and Poinsettia Place. The beautiful brick building at 7280 Melrose Ave. will become the location of the school programs, now in a rental location a few doors east from there. The Groundlings already own their theater building, but they have been renting classroom space. The current classroom location, called G2, is the second rental location they have used. Now they will have their own space for this use. The non-profit Groundlings has begun celebrating its 40th anniversary, and there will be special events for the anniversary that will also be raising funds for renovating their new building for its future use. This work will be coordinated with the end of the leases of existing tenants, which include a doctor’s office for marijuana prescriptions, a company that purchases gold, and an advertising company. The Groundlings School should be able to start holding classes there in 2015.